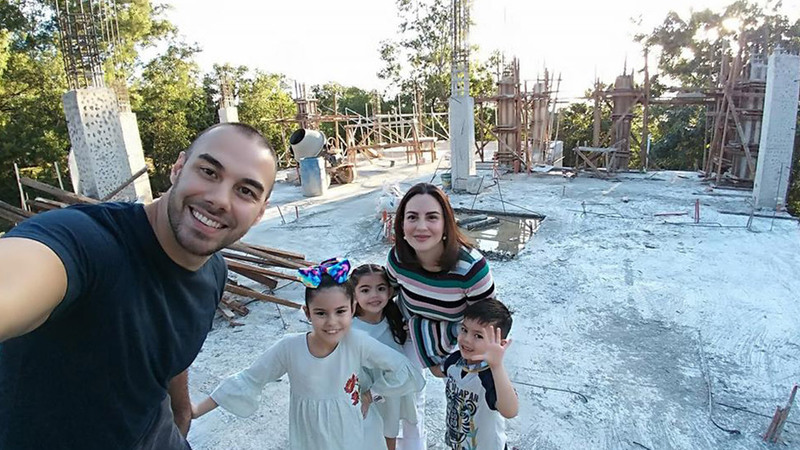 When we first featured the three-storey modern contemporary house of Chesca and Doug Kramer, we instantly fell in love with the spacious abode. Aside from having a roomy living area, there’s also a playroom for the kids, a dining area that can accommodate guests, and a home theater furnished with comfy seats, too! While the property seems perfect for the family, moving into a bigger and better home is quite inevitable since Kendra, Scarlet, and Gavin are growing up. Last August 2016, Doug shared a photo of their living area on Instagram, announcing that the house is up for sale. The said house features 550sqm of floor area, with 90 percent of the interiors included in the deal. Since the life of Team Kramer is quite an open book, they recently updated their followers with great news! Their new house is under construction and according to Chesca and Doug, they’re hoping to move in this year. The couple considers their previous house as their dream home and this time around, the new property will be the whole family's dream come true. We're guessing that the three kids will have a say on the look and design of the space as well. Based on the photos, it's safe to say that the family opted for another multi-storey structure. The best part? It is surrounded by towering trees and the five will have an access to a scenic view. We're excited to see the finished home this year. Aside from a modern contemporary theme, a modern minimalist theme will suit the structure as well. For the interiors, we're sure that it will have a huge playroom for the kids, a walk-in closet for the couple, and of course, another envy-worthy home theater. As for having a basketball court, we just have to wait and see.